This is a resume sample of a legal graduate. A particular emphasis is placed on bringing out core competencies and integrating any work experience held. 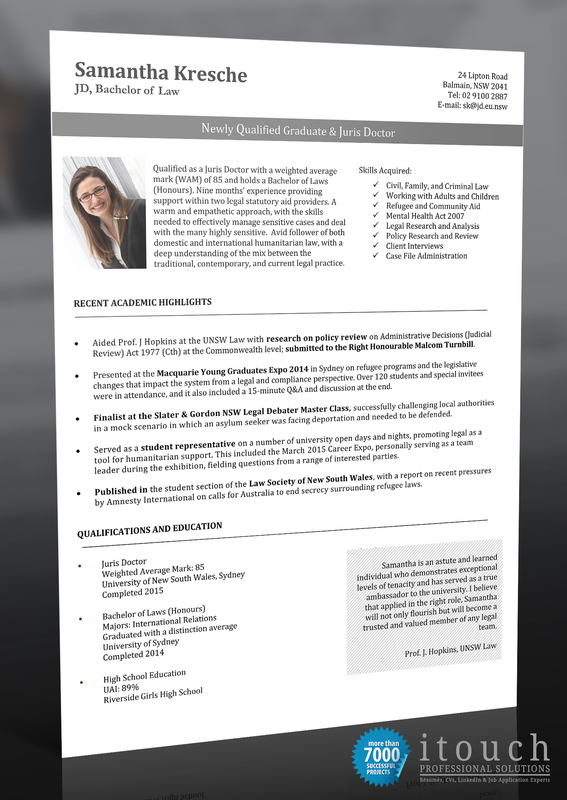 Legal graduate resumes are highly competitive, and therefore, we must focus on asking the right questions to gain qualified information from our clients so that we may write an effective resume.